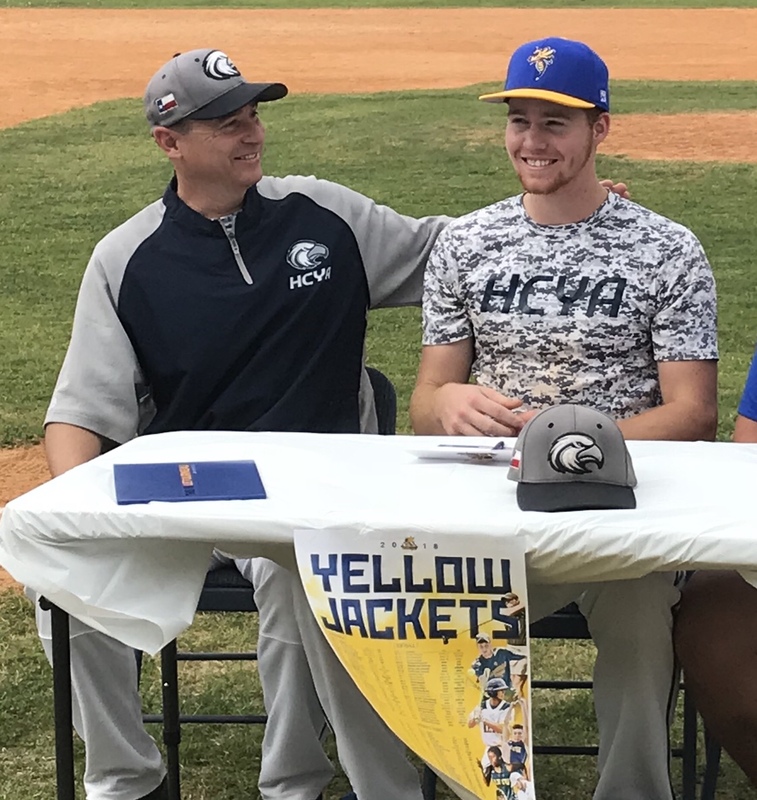 In an exciting day for his family and for HCYA Baseball, senior Jacob Steinman, a four-year starter on the HCYA Varsity squad, signed a letter of commitment to play baseball for the LeTourneau University Yellow Jackets. LeTourneau University is a NCAA Division III interdenominational Christian university in Longview, Texas, competing in the American Southwest Conference, offering a variety of academic and athletic programs for its 2,700 students from across the country and over 30 other nations. Jacob’s teammates were on hand for the signing, as well as his family and a good number of extended family and friends. Jacob – we’re so excited that God has blessed you with a path to collegiate baseball, but your work at HCYA is not done yet! We pray you will finish the season strong, and together with the rest of our seniors, lead this team to success in the Homeschool World Series!